13/04/2019: Didn't think this place could get any worse. Was really disappointed last time but decided to give it another chance as it had been good in the past. Food was terrible again; ramen highly over salted, tempura greasy, rice bland. 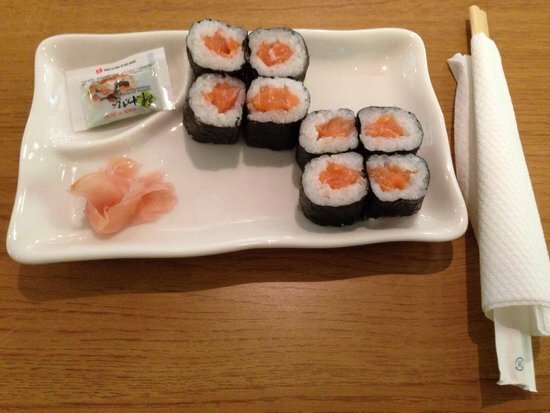 Sushi and service were fine but not good enough to make up for the negatives. Would expect a higher standard, especially at the prices. Highly disappointed. 13/04/2019: Can’t get enough of this restaurant and Japanese cuisine. My favourite dish is the deep fried pork in ramen. It is superb and packed with lots of flavour as I like my spice I use chilli sauce and chilli oil to give it that kick that I need. 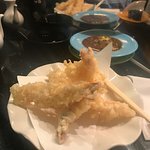 Tried deep fried chicken Japanese style for the first time as a starter and it didn’t disappoint. Will be returning very soon, maybe next week. 12/04/2019: The sushi tastes good, though the offerings on the menu are the standard fare and not much for varied options. I saw the same types of sushi go through the rotation around the belt. For most of the options, you'll need to order it as it seems they only put the basic dishes. A bit pricey as well. The staff though are very friendly! 11/04/2019: We went for lunch with friends and had a great experience. Food was great and I was delighted to try one of the new dishes on the menu. There was a nice atmosphere and it was nice to see the chefs rolling sushi in the open kitchen. We also had a couple of plates from the belt as they looked so good! 25/09/2016: Esta noche me tomo uno de mis amigos para su primera aventura de sushi. El servicio en Casa de Sushi es fenomenal. La calidad del sushi recién hecho es bastante buena. El chef de sushi es increíblemente hábil y si dado los ingredientes que fácilmente puede ser uno de los mejores restaurantes de sushi en Belfast. Pedimos Takoyaki que de la cocina estaba fría por dentro, y el pulpo dentro era todavía algo helada, pero esa es mi única queja e incluso todavía el sabor era muy bueno. 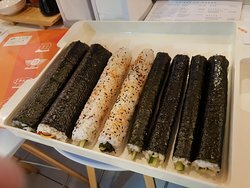 El chef era tan increíblemente amable y se ofreció a confeccionar sushi para nuestra próxima visita a deshacerse del sabor (algas nori/) que mi amigo no le gustó. Sin duda comer en este restaurante de nuevo. 17/07/2016: My favorite Sushi in Belfast. Very fussy about my sushi but this place is just the best. Always so fresh and well made. Have never sat in though. We either have it delivered or call and take out. Couldn't fault it. 18/08/2017: Пришлось немного подождать заказанный столик. Отлично готовят, хороший выбор, внимательный персонал. Рекомендую попробовать китайское пиво Tsingtao, очень понравилось. Сингапурский Tiger - вне конкуренции. 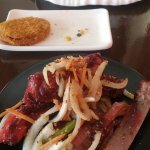 16/03/2016: Visité muchas veces y cada vez que tenían buena comida y servicio. La gestión es genial y siempre sonriente. Recomendaría este lugar para gourmets, un montón de cosas bonitas en el menú para probar! La presentación de la comida es una maravilla y me encanta pasar el rato en este restaurante es increíble, en uno de los mejores, si no el mejor restaurante en Belfast. El registro y, por supuesto, no te olvides los cócteles ... son increíblemente bueno! 14/03/2016: Gangnan Restaurant serve Japanese and Chinese food. My attention was initially captured by the superb selection of vegetarian Sushi rolls made with either white or brown rice on their menu. Tonight I ordered avocado, egg and asparagus rolls served with traditional garnishes of pickled ginger, wasabi and soy sauce. Wonderfully delicious, fresh and mouth-wateringly flavourful. As well as Sushi Gangnan serve Dim Sum and Tempura dishes, both with a vegetarian option available. Plus there's a full range of Honey Chilli, Peking, Curry, Kung Po, Satay, Szechuan, Black Bean, Teriyaki, Cashew Nut and Black Pepper etc meals, all also available as vegetarian dishes. Additionally there are noodle, soup, fried rice and traditional Chinese dishes. An extensive menu.It's sometimes extremely difficult to get a table in Gangnan, especially over lunchtime, as it's very busy and popular with Asian patrons. I sat in Gangnan on my visit tonight, however takeaway and delivery are also available. The restaurant itself is small, simple and clean. Prices, portion sizes, service and atmosphere are good. I will be returning and can see myself becoming a regular customer. 14/02/2016: Ahora se llama Gangnan, este lugar es sencillo, sin lujos, sin problemas y no hay nada que objetar.